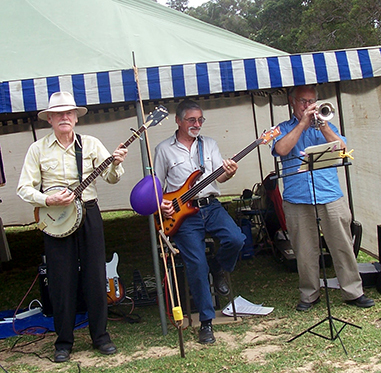 This Sunday the Albany Boatshed Markets welcomes the BBC Band back to the stage. The B.B.C (Banjo, Bass, Cornet) Band consists of three local professional musicians who individually play in other bands, but get together, mainly for fun, to play a combination of Old time, Country music and Dixieland jazz with some evergreens. Treat your mum on Mothers Day this Sunday with a trip to the Albany Boatshed Markets and soak up the relaxed atmosphere and great live music down by the harbour.